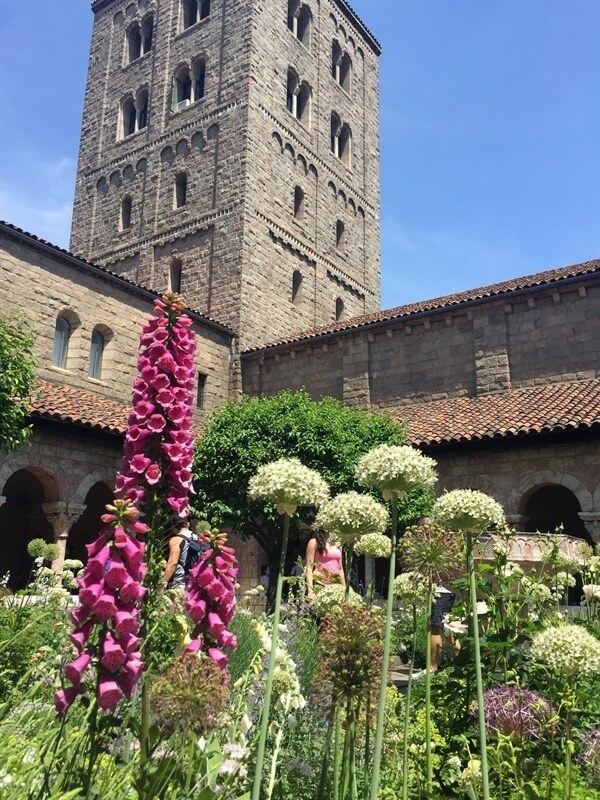 Sharing my top places to see and eat in New York City from our last trip. 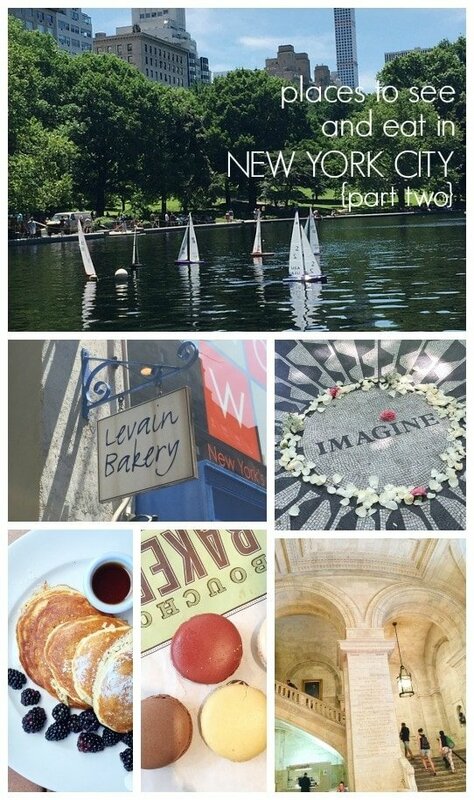 So I’m finally getting around to sharing with you the trip my husband and I took to New York City to visit our daughter on Memorial Day Weekend, better late than never. It’s been over a year now that she’s been in the Big Apple and I’ve managed to visit three times. I can’t wait to go back again. 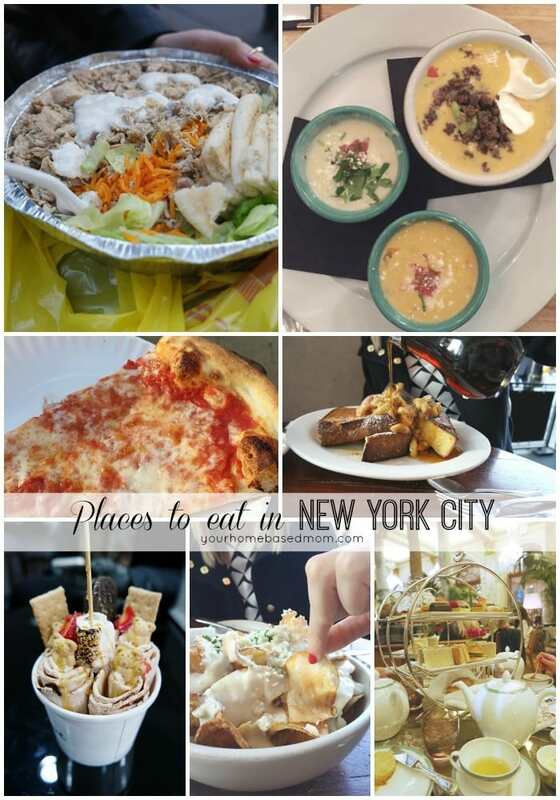 New York City is such an amazing city and there are still so many things to eat…. This was the first trip for my husband though since Tessa moved there, I was nice and let him come with me this time. 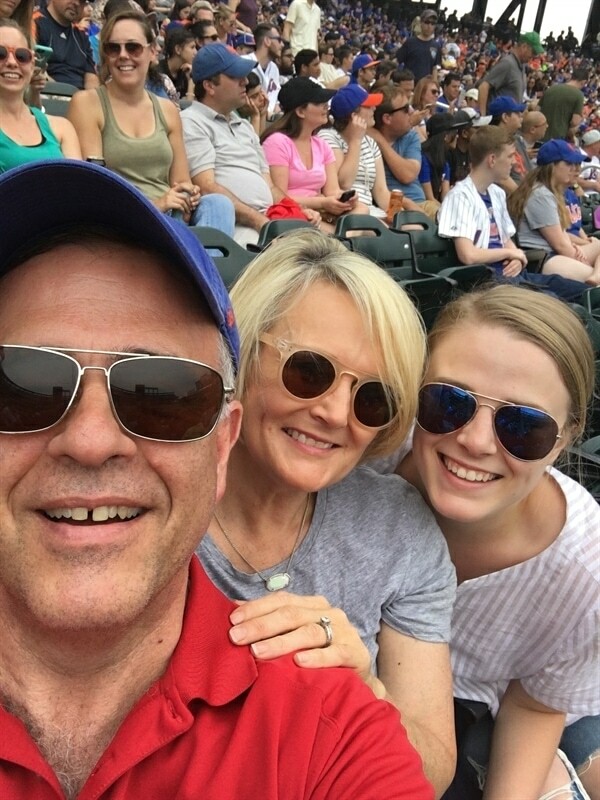 There was only one thing on his list for the trip and that was to see a Met’s game, he is kind of a big sports guy. Lucky for him the Mets had a home game on Monday so we headed out to Queens for the game. He can now check Citi Field off his ballpark bucket list. 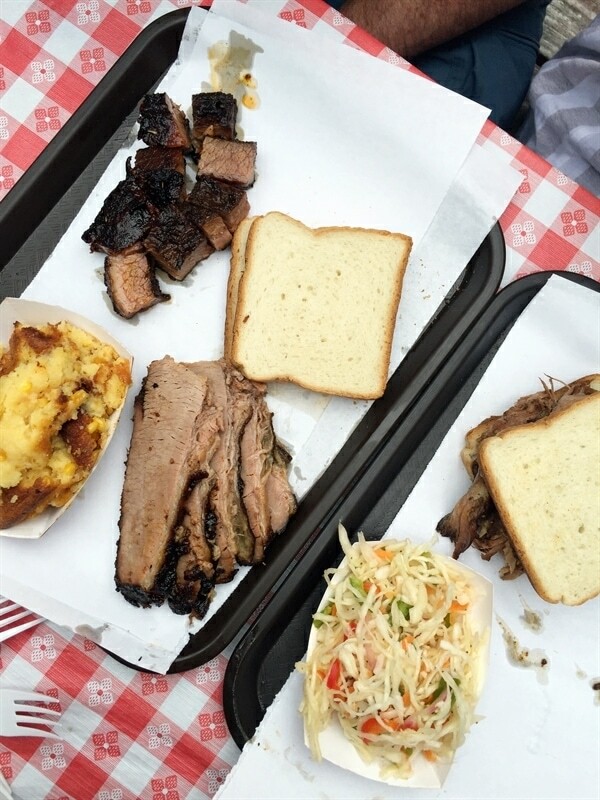 Since we were out in Queens we decided to check out a BBQ place that Tessa had heard about – John Brown Smokehouse. It is Kansas City Style BBQ and it was definitely worth the trip out to Queens, ball game or no ball game. 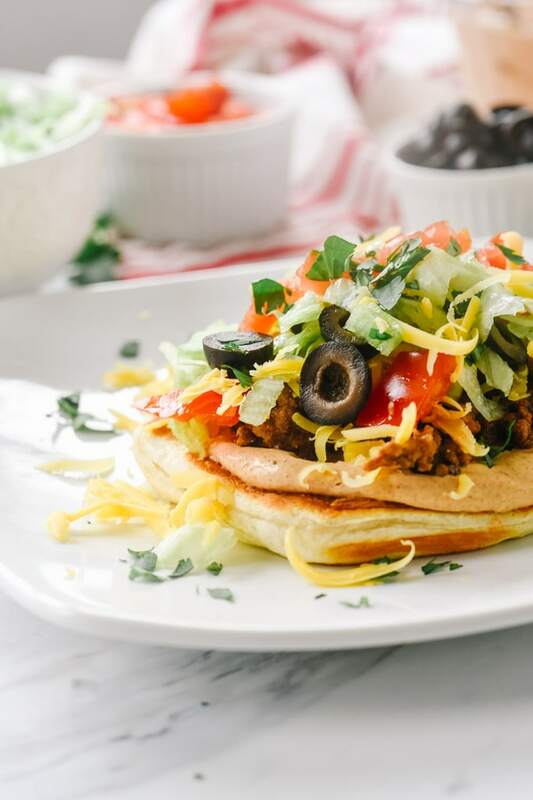 The cornbread was AMAZING and I returned home and created my own version of it right away because I couldn’t live without it. 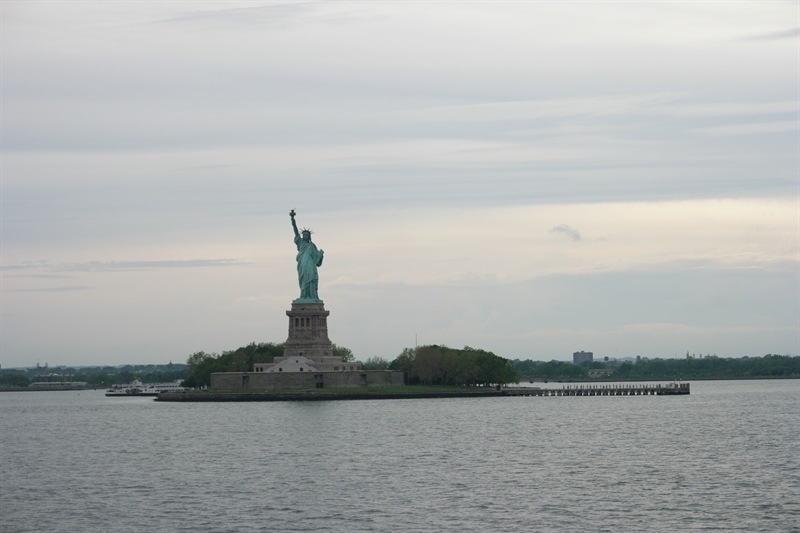 After the ball game we headed back to the city and took a ride on the Staten Island Ferry for a view of Lady Liberty. The Staten Island Ferry is free and you can just ride it over and back and enjoy the view. A great way to see the Statue of Liberty. We were able to stay at our daughter’s apartment because several of her roommates were out of town. 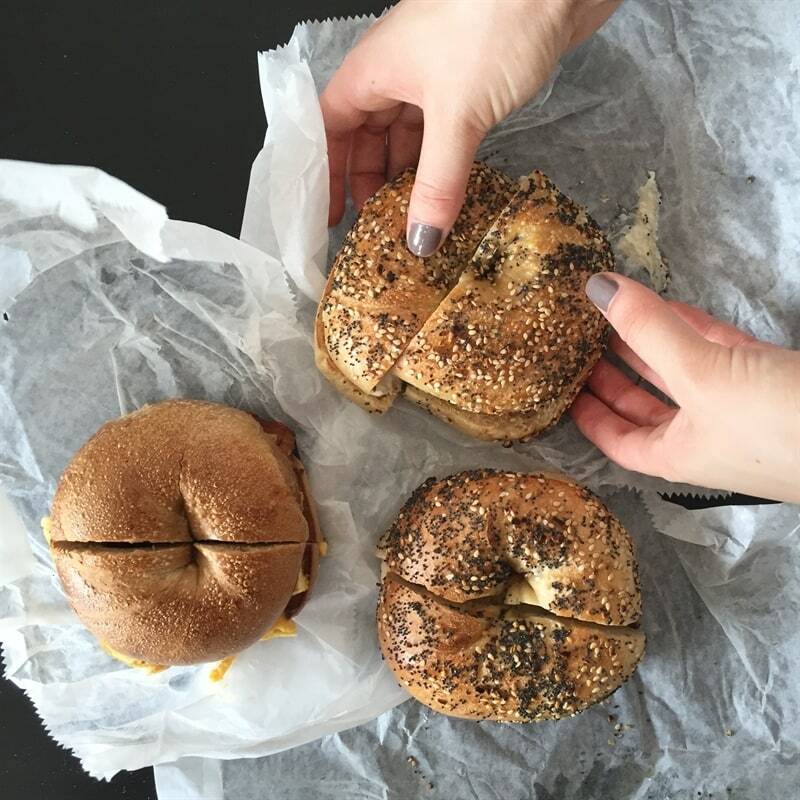 She lives on the upper west side and she is lucky enough to live down the street from one of NYC’s best bagel shops – Absolute Bagels. Jim was nice enough to make a bagel run for us each morning. 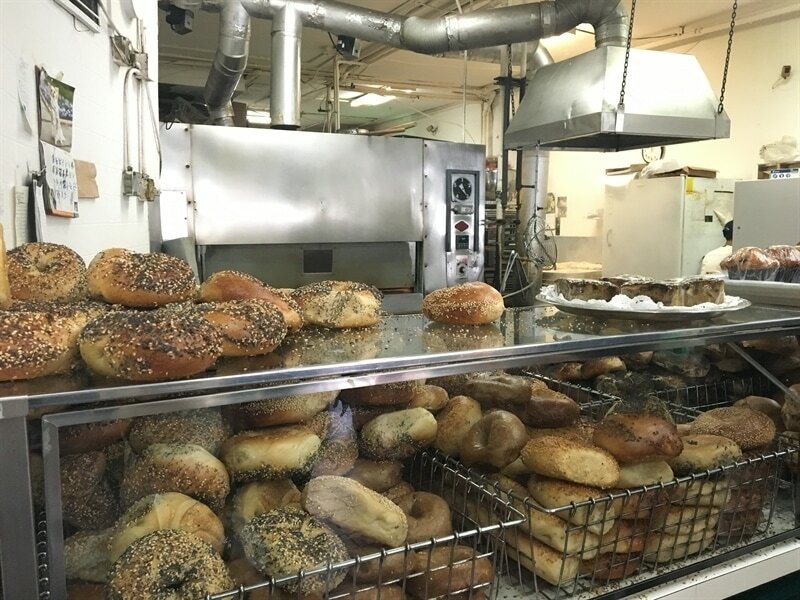 You can’t go to NYC and not enjoy a bagel or two or three. We then headed out to the city and it was hot. I had a list of ice cream places to check out on this visit so that was the perfect way to stay cool. 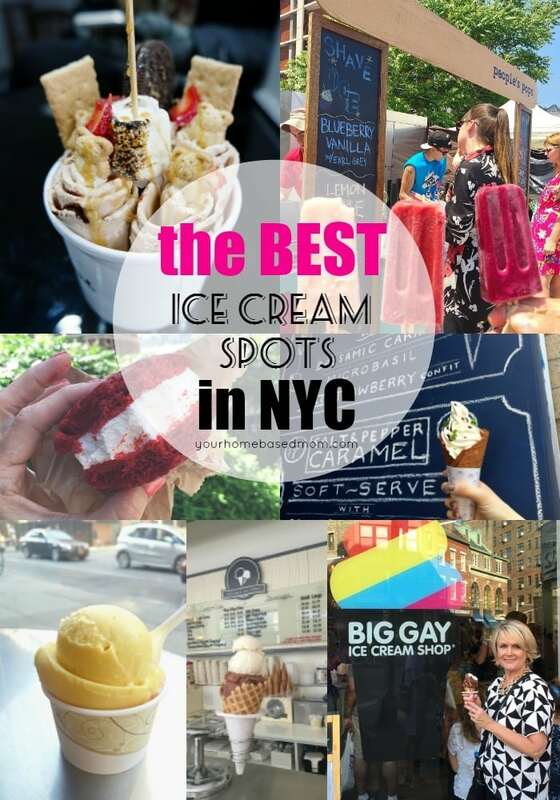 You can check out my post on the Best Ice Cream Spots in New York City to see all the yummy spots we enjoyed. One of my favorite things to do in NYC is visit the museums. 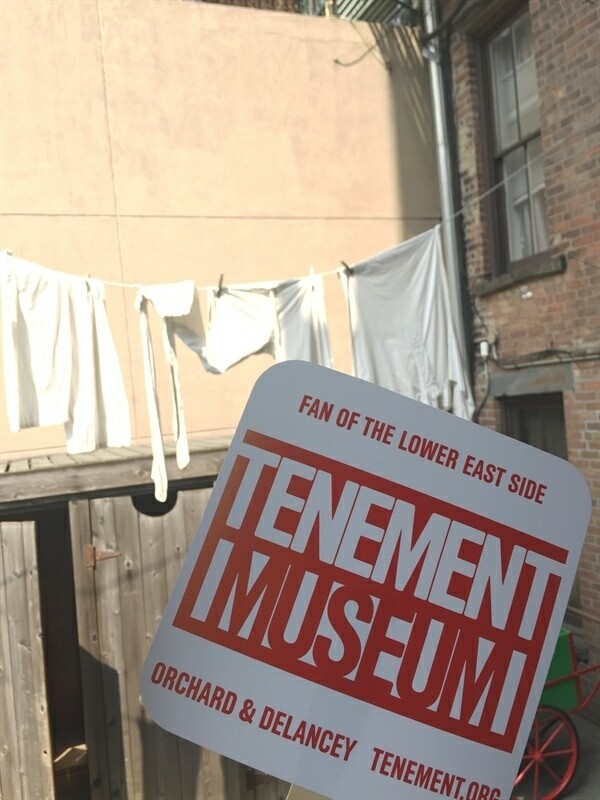 One museum I had never been to was the Tenement Museum on the lower east side. We loved it and I highly recommend it. It was like stepping back in time. 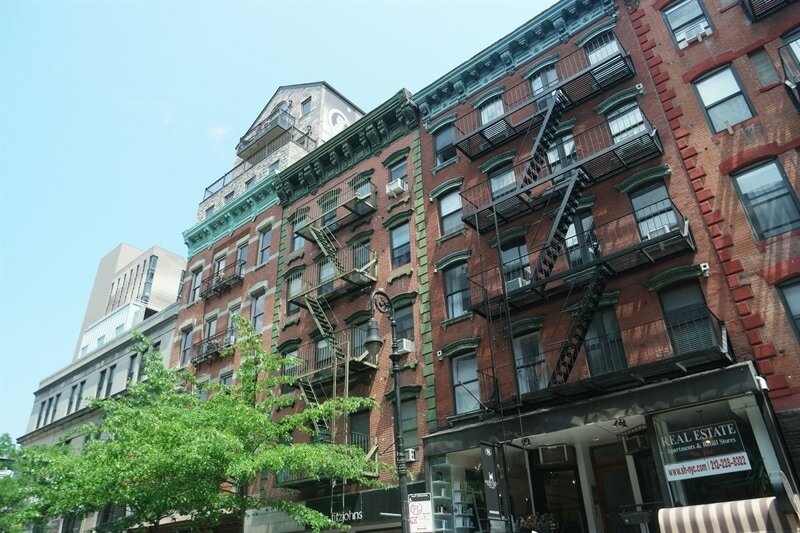 Closed up for over 50 years, 97 Orchard’s apartments were in ruin. When they unboarded them it looked like someone had just packed up and moved out. 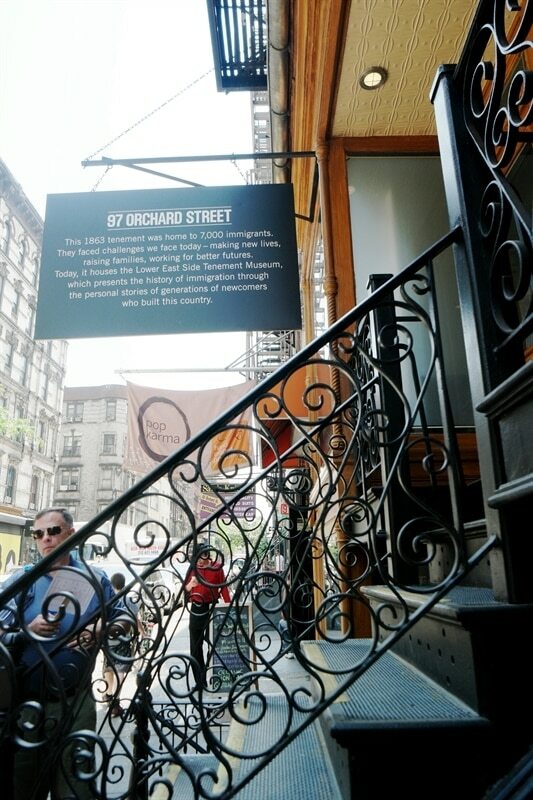 The building has now been restored and you can tour the building and learn about the real people who lived and worked in the building and sweatshops. The building was home to over 7,000 people at one time. It is fascinating! We took the Sweatshop Tour but I can’t wait to go back and take some of the other tours available. Be warned, if it is hot, it will be hot on the tour. They called it a sweatshop for a reason! We then headed out for dinner before a show that evening. 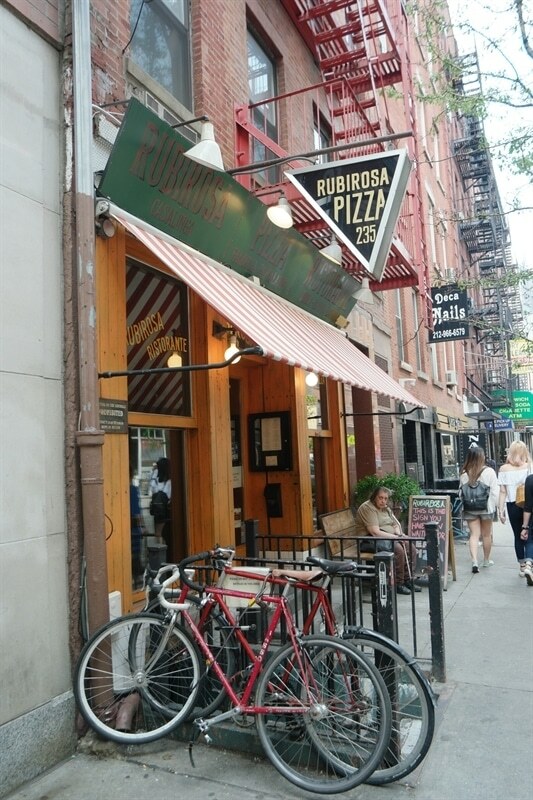 Pizza is always high on the to eat list in NYC and for dinner we went to one of Tessa’s favorites, Rubirosa. 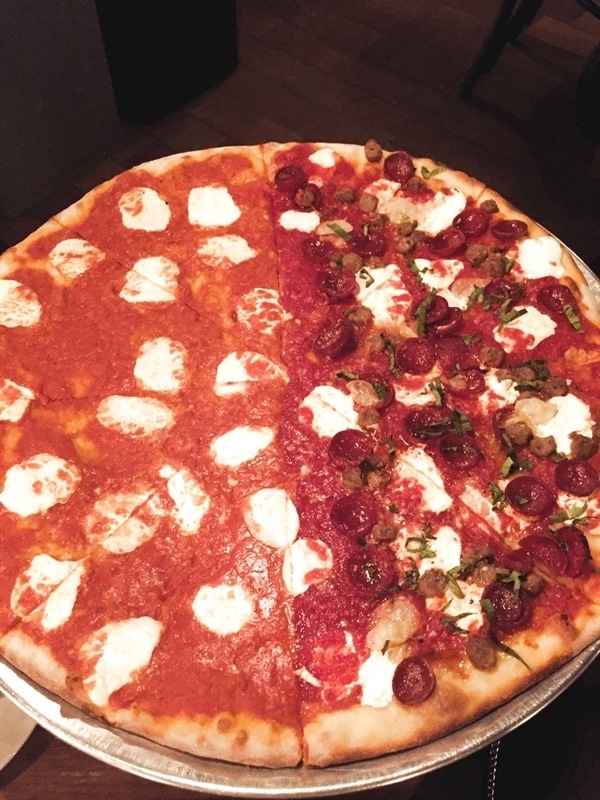 We got the Vodka Sauce Pizza and it was amazing. Be sure and try the rice balls too. 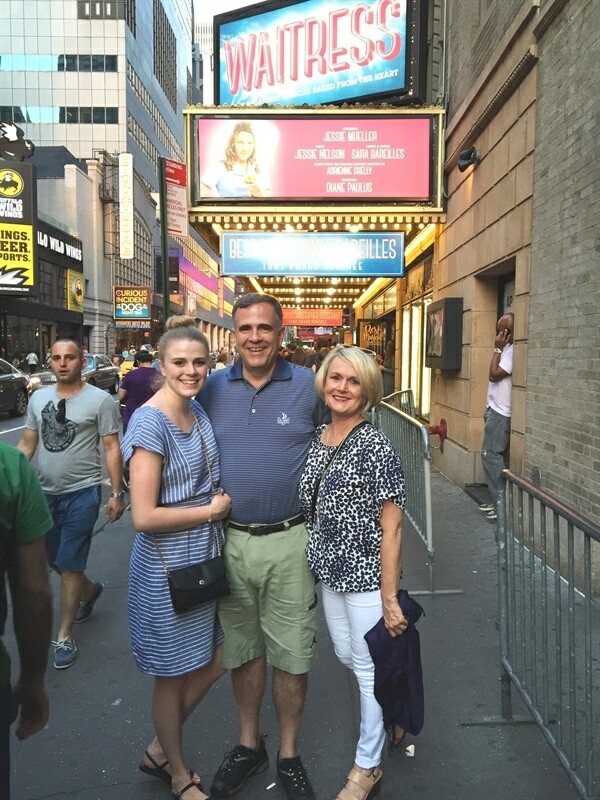 We always try to see a show or two while in NYC and that evening we saw the musical Waitress. The music is fantastic, all of it written by Sarah Bareilles. The set is darling and the show takes place in a pie shop. 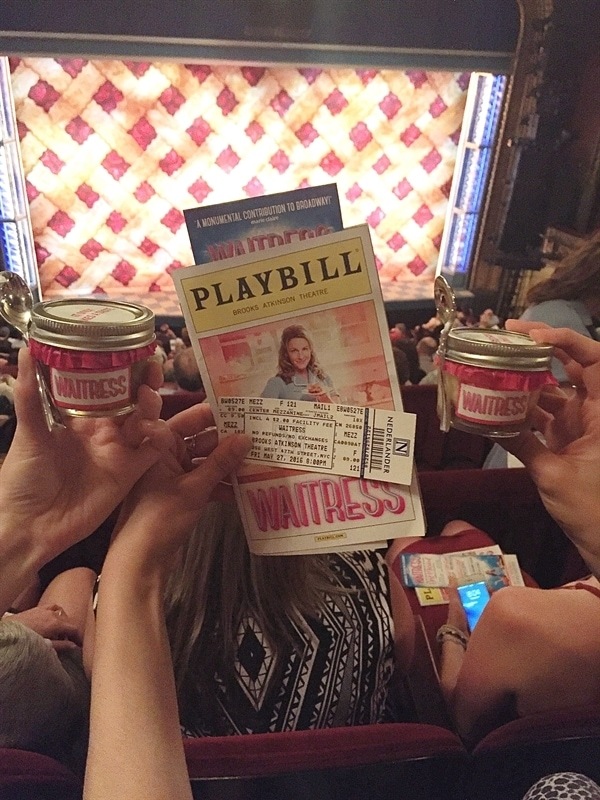 When you walk into the theater you smell pie baking because they sell mini pies at intermission! I do have to make a disclaimer though, the show does contain some “mature audience” scenes and I’d give it a PG-13 rating. I wouldn’t recommend it for younger children. 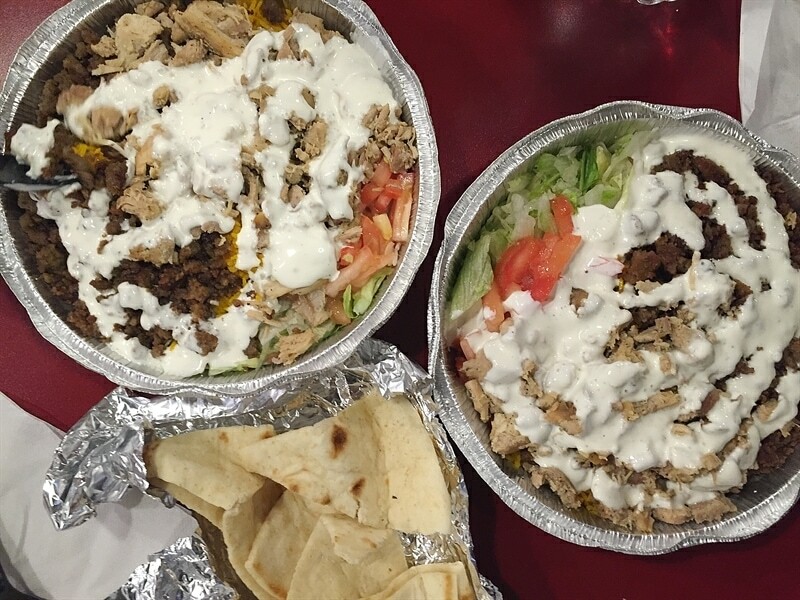 We were hungry after the show so we stopped at one of my favorite places in NYC – the Halal Guys. 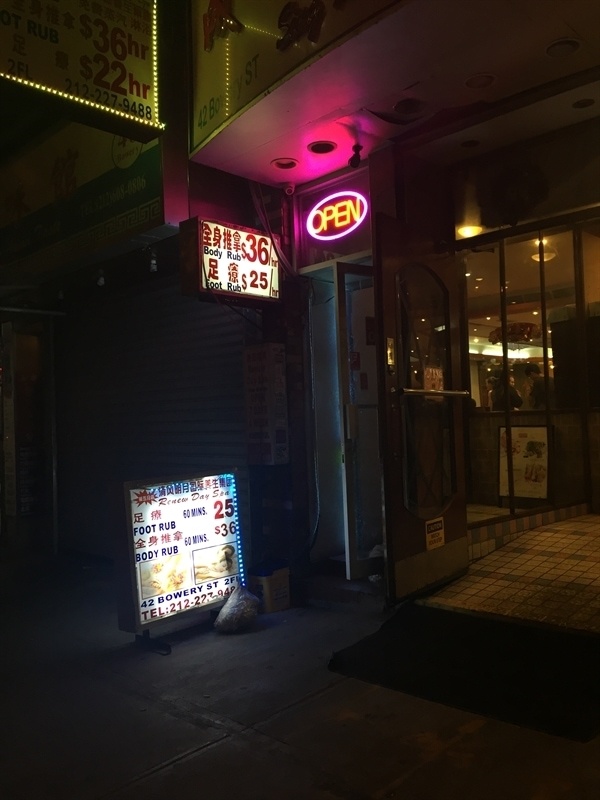 We usually go to their food cart but lucky for us they have a brick and morter location just two blocks from Tessa’s apartment. 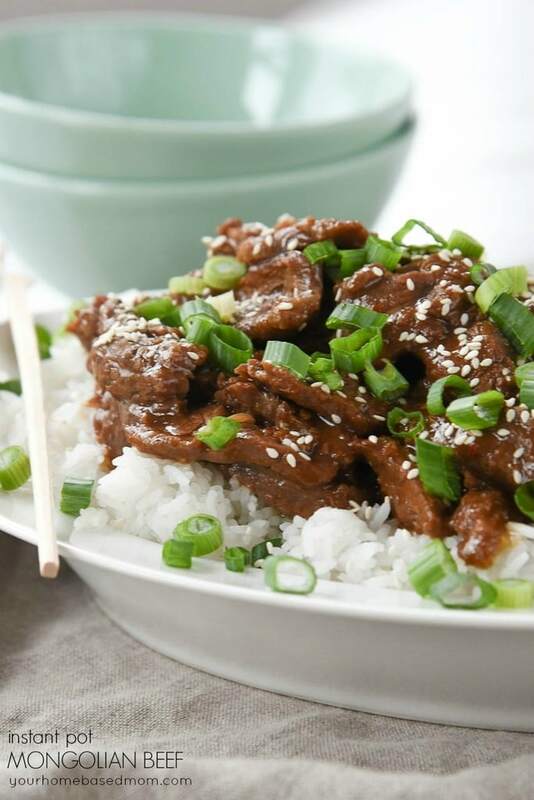 I love this stuff so much I found a copycat recipe so I can make it at home any time I want! 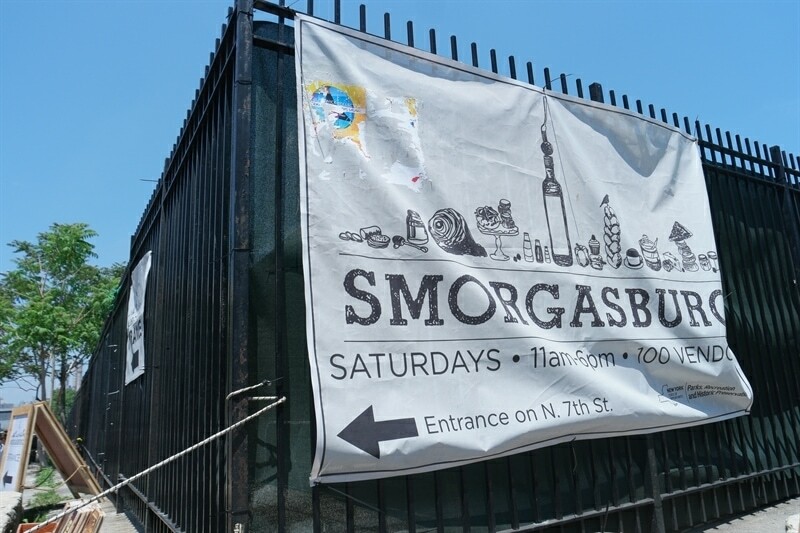 The next day we headed over to Brooklyn to check out Smorgasburg, a food flea market. It is food heaven! 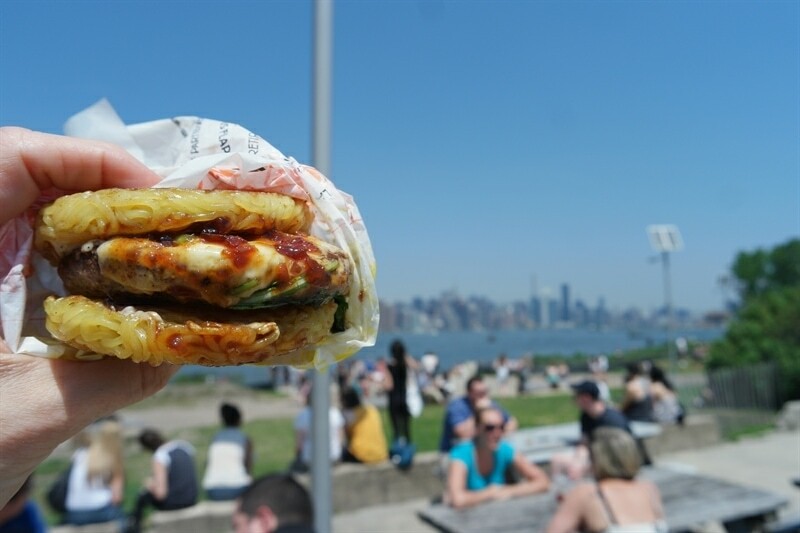 Our first stop was the Ramen Burger stand. The line was long so we knew it must be good. 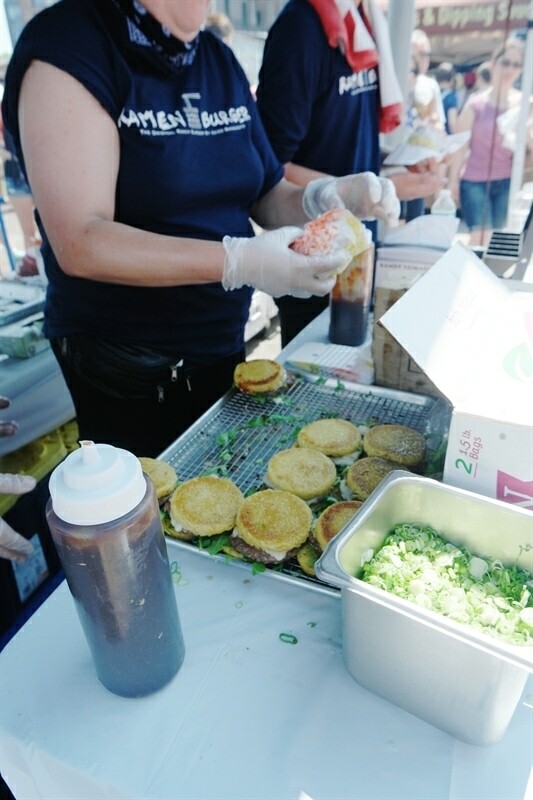 The bun for the burger is made out of ramen noodles. I’m not a big ramen fan but this was fantastic! 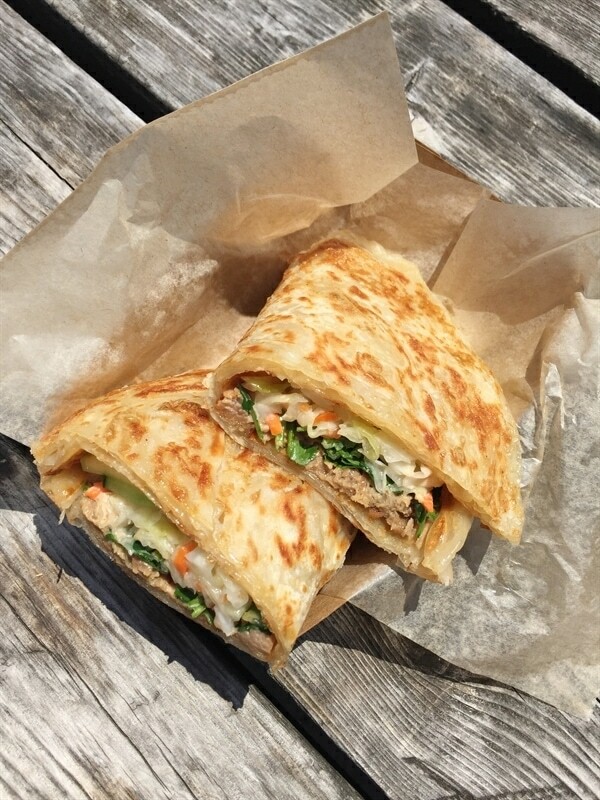 We also tried some other yummy things included these tacos made with a scallion pancake. 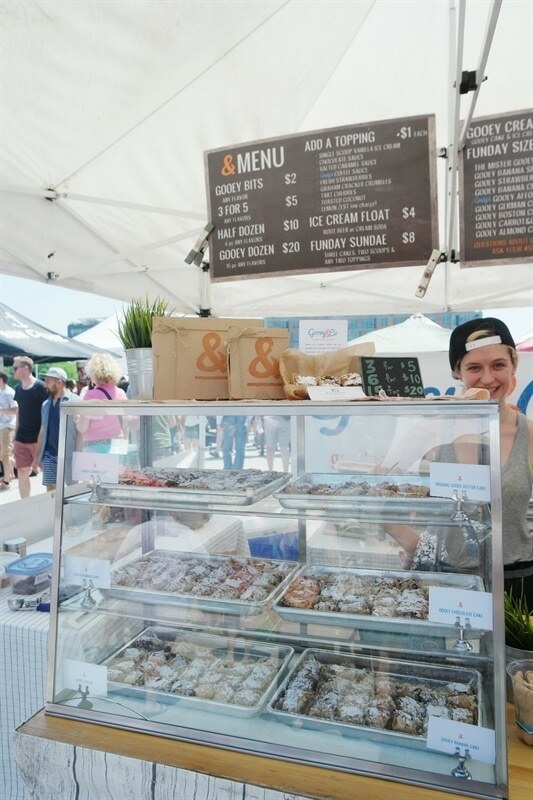 And for something sweet we sampled some ooey gooey cake at Gooey & Company. And you get a great view of the city from there too! 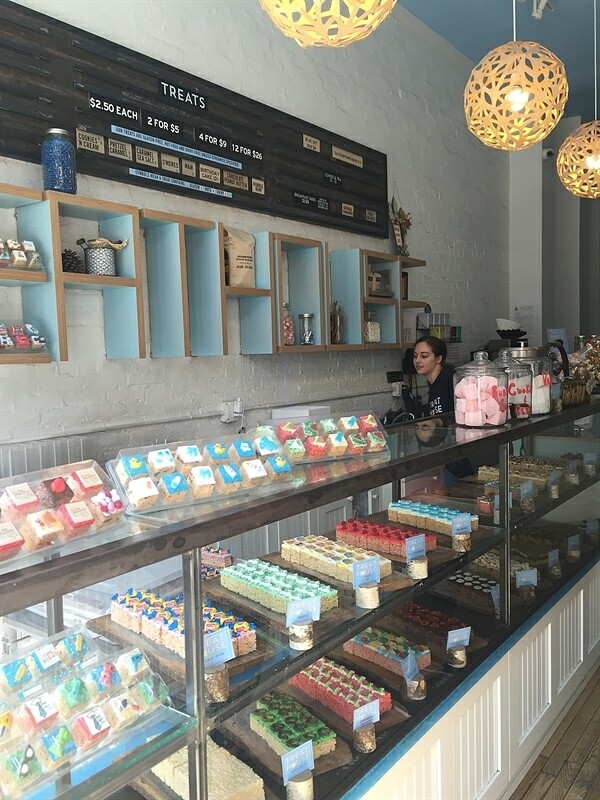 We did a little bakery hop that day too and our first stop was a fun little bakery in Brooklyn – Schmackarys. 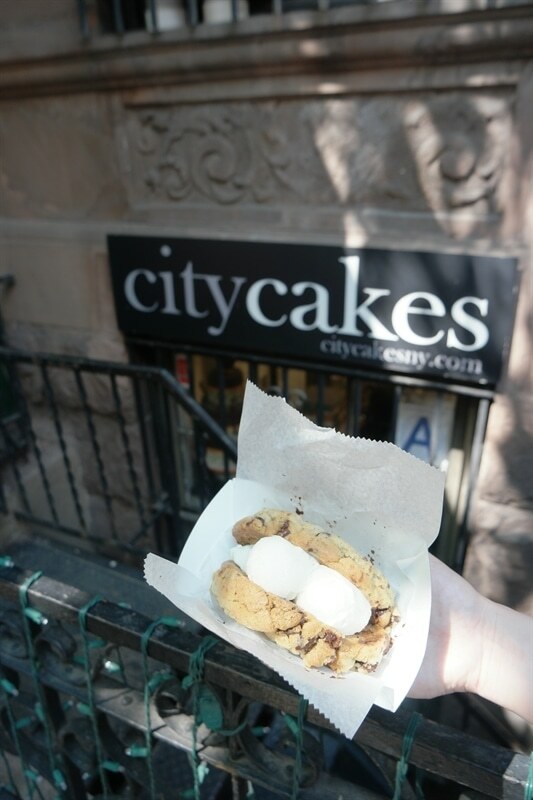 The Sch’mores cookie was a favorite. 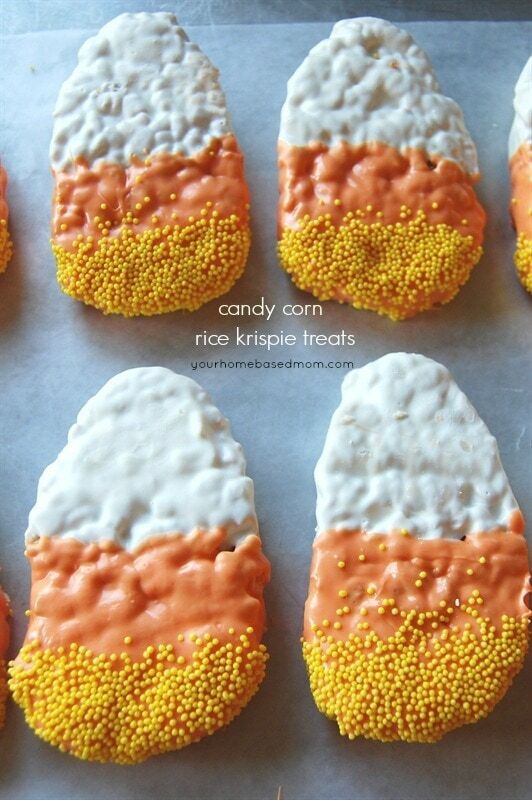 They have lots of fun flavors and they change with the season. The store front is just too darn cute! 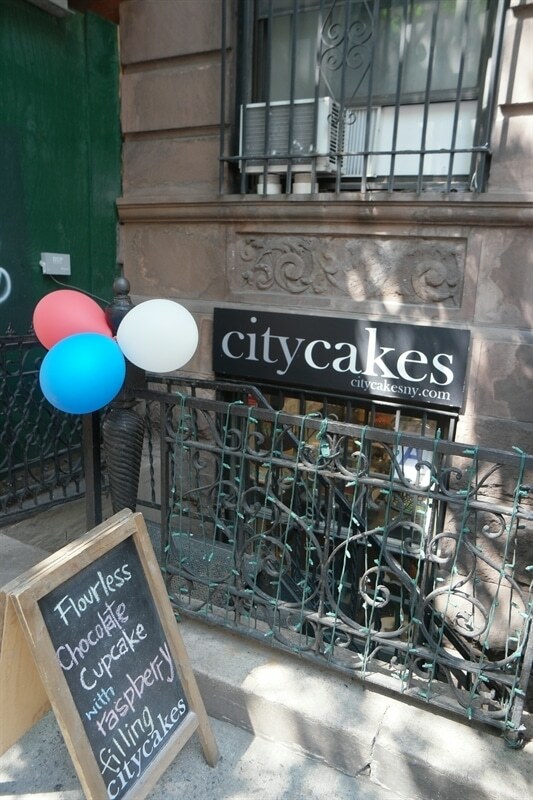 The next bakery stop was City Cakes. I had heard a lot of good things about this place and it did not disappoint! It’s downstairs location reminded me of Levain Bakery. Let’s just say the cookies are HUGE! We’re talking half pound. 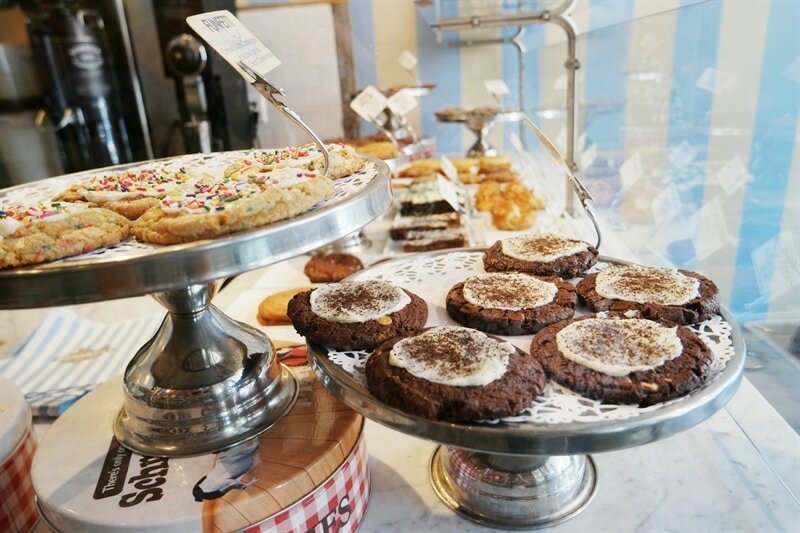 We got the chocolate chip but I understand the Sugardoodle is amazing. A reason to go back! The guy helping us recommended we turn our cookie into an ice cream sandwich. Twist my arm! 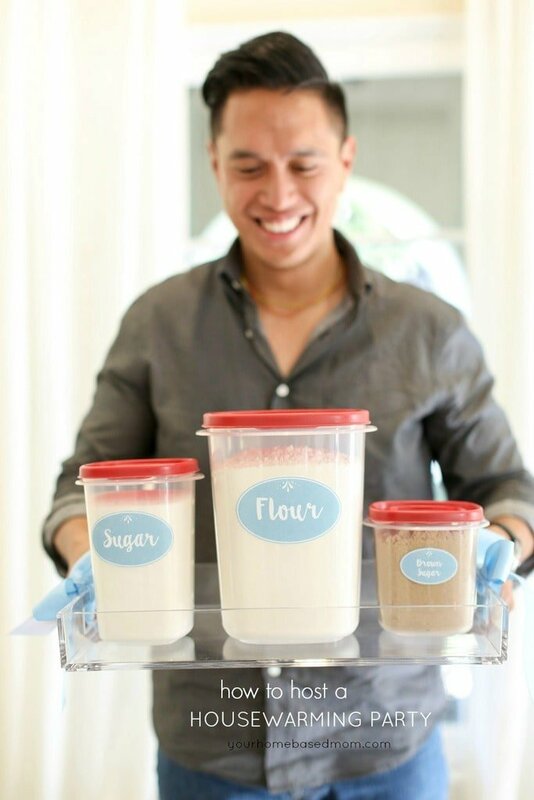 He cut the cookie half and filled it with delicious gelato – it was amazing!! We stood out on the street and devoured it in minutes. Besides, it was hot and the gelato was melting fast. 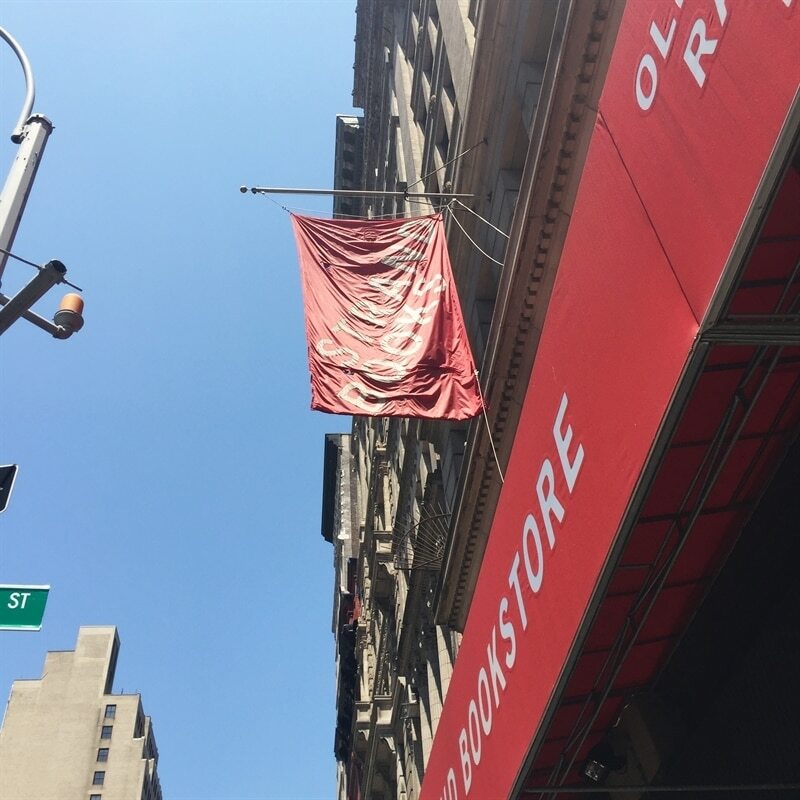 To cool off a bit we made a stop at the iconic Strand Bookstore. There are 18 miles of books in the store. It reminded me a lot of Powell’s Books here in Portland. 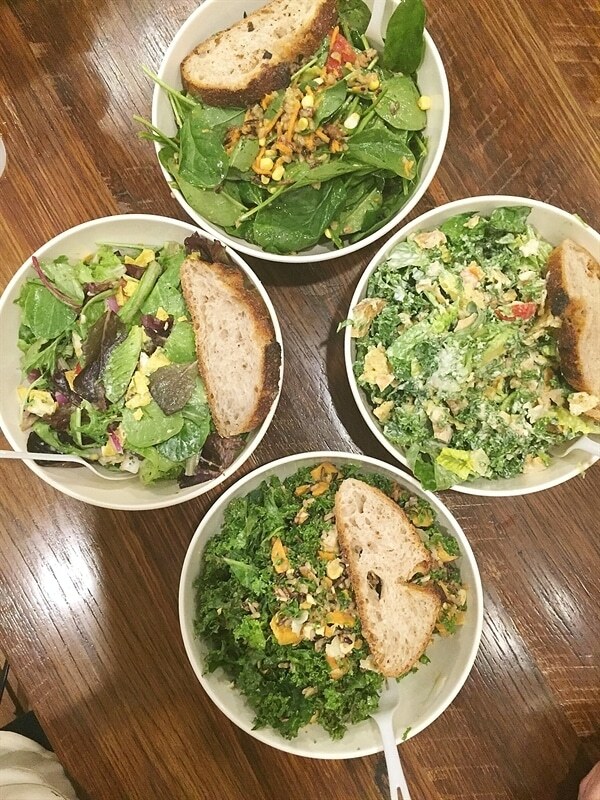 We needed to grab a quick dinner before our show that evening so we went to one of Tessa’s go to places – Sweetgreen. 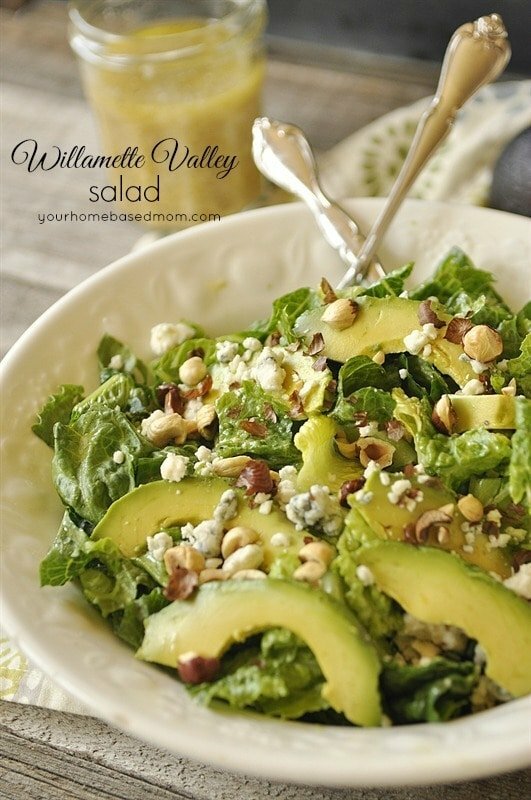 It has a menu full of amazing and delicious salads. I recreated one of Tessa’s favorites here at home. That night was another show. To get tickets we did Rush Tickets. It’s a great way to get less expensive tickets to a show. You show up at the theater in the morning and when the box office opens you can get any tickets that are still available for that evenings performance for only $30.00. We went to see Bright Star and loved it. Unfortunately the show has now closed down. 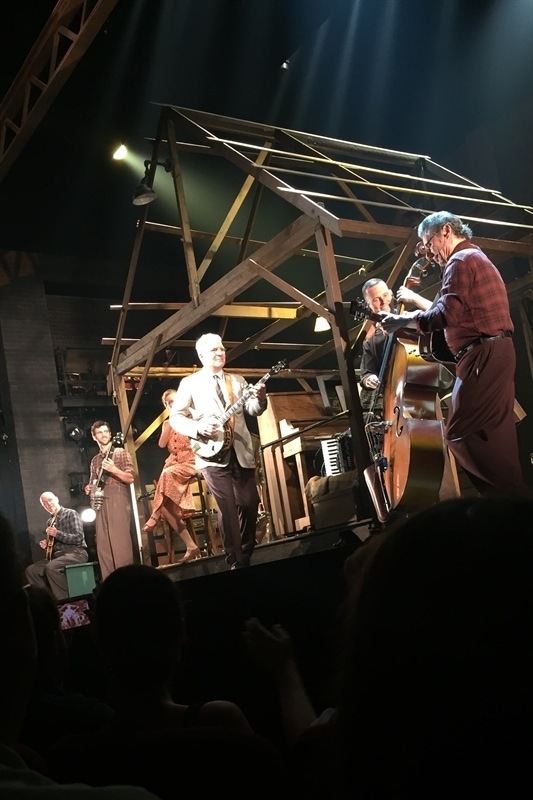 The show and music were written by comedian Steve Martin. The evening we were there, Steve came out on stage and placed his banjo with the band during intermission! 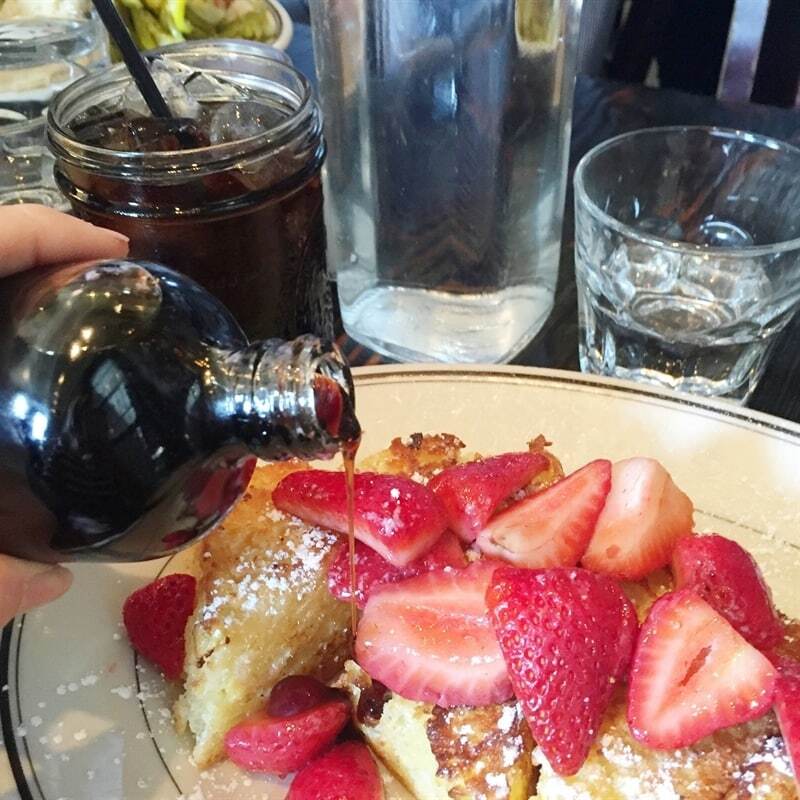 Our next day started off with brunch at one of my favorite spots, Jacob’s Pickles. I had been dreaming about their biscuit french toast since the first time I went there and couldn’t wait to go back and have it again. Be sure and try their amazing root beer selection too. 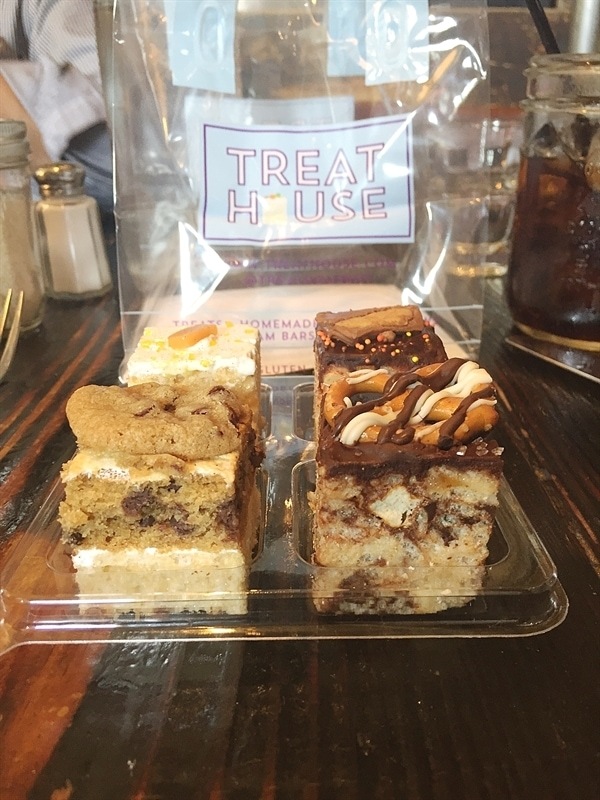 While we were waiting for our table we walked up and down the street and found The Treat House – a rice krispy treat bakery! So many fun flavor combinations! We picked up a few to enjoy for later. 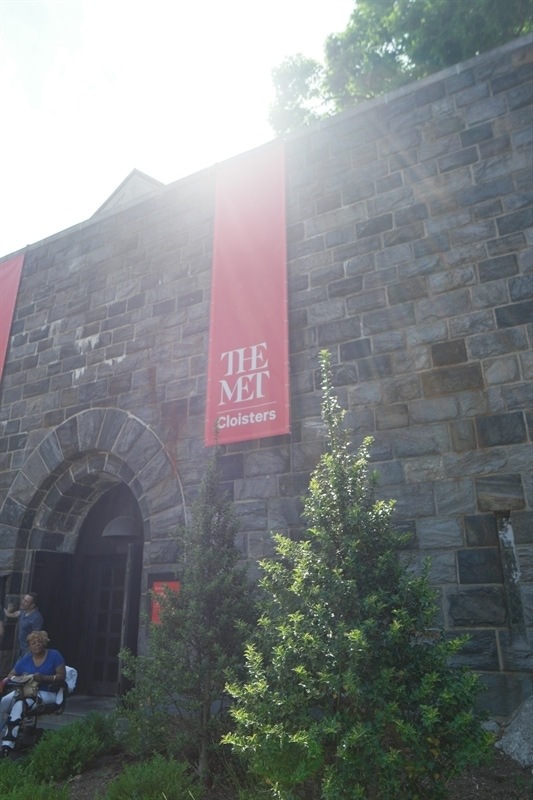 After brunch we got an Uber and headed out to The Cloisters which is an extension of the Metropolitan Museum of Art. It is located on the Hudson River at the top of the island. 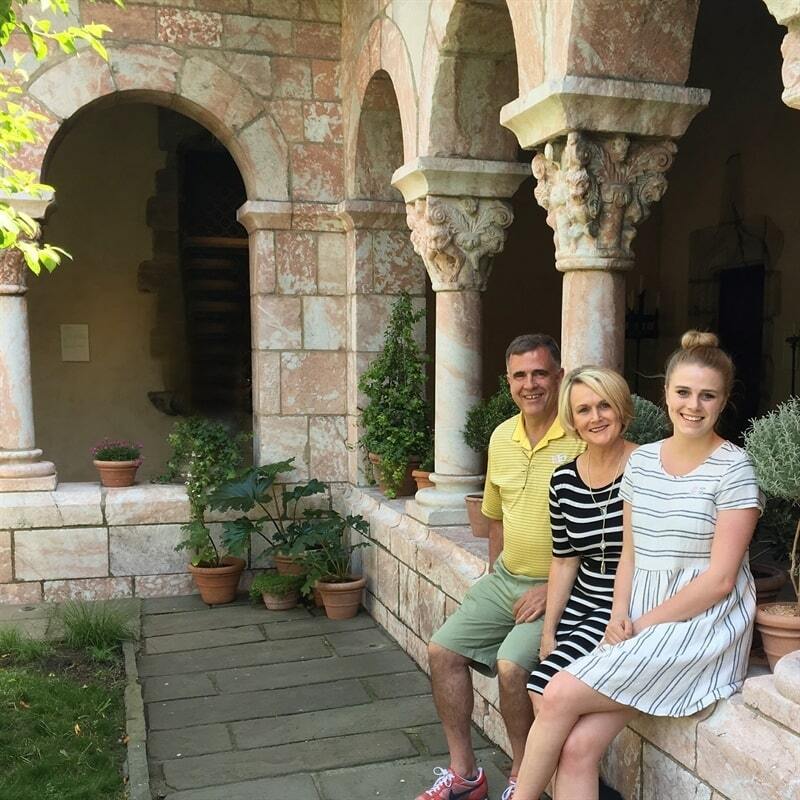 The Museum is dedicated to Medieval European Art and you will feel like you have been transported to Europe when you walk into the museum. There are over 2,000 pieces of Medieval Art. My favorite part were the beautiful gardens. 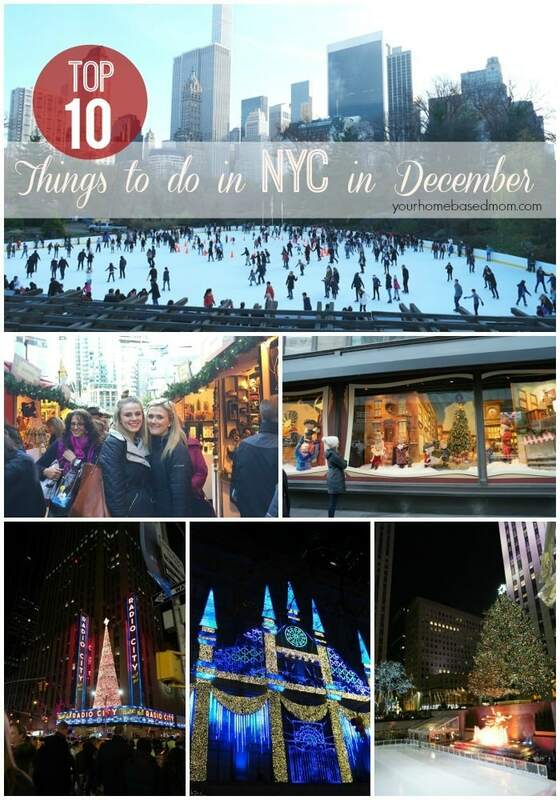 There is lots to see so plan on spending a little time there. 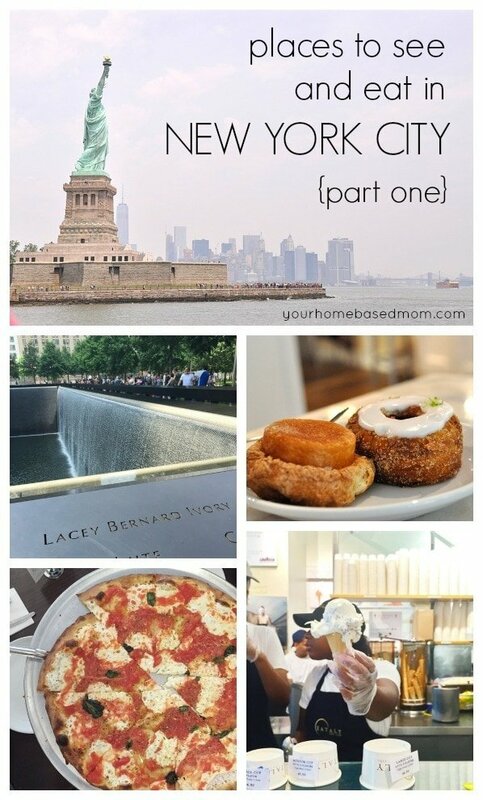 Museums make you hungry and we had another bakery to check out so we headed back into the heart of Manhatten to make a visit to Orwashers and donuts were at the top of the list. They hand fill jelly donuts right in front of you. 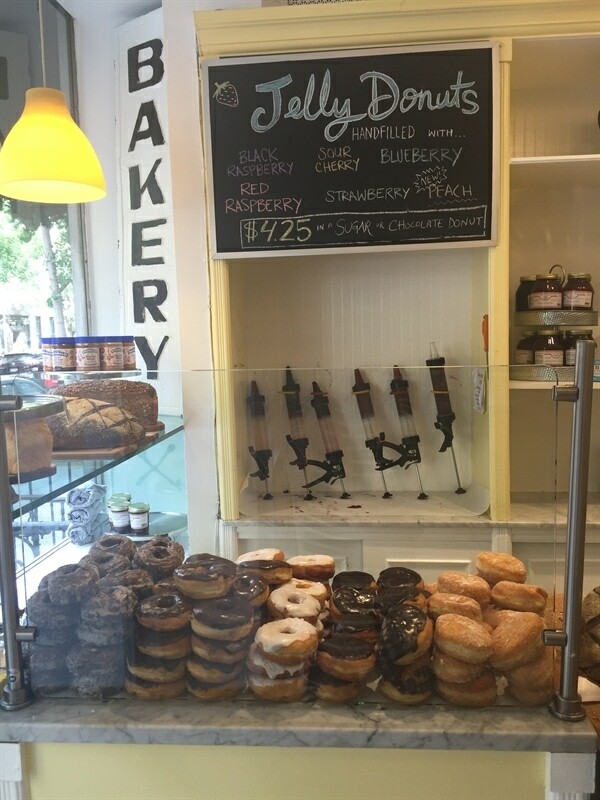 You choose your donut and your filling flavor and they fill them! 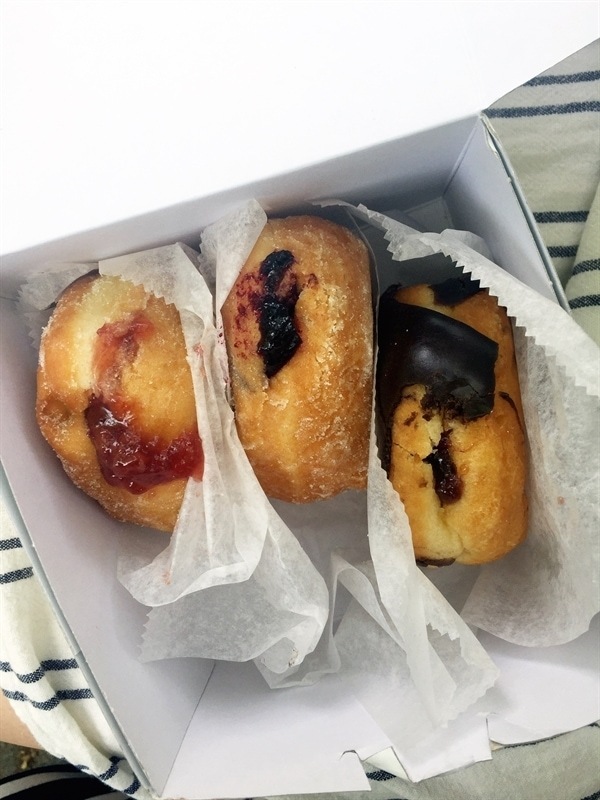 We tri ed the Black Raspberry, Sour Cherry and Strawberry. They were all delicious. 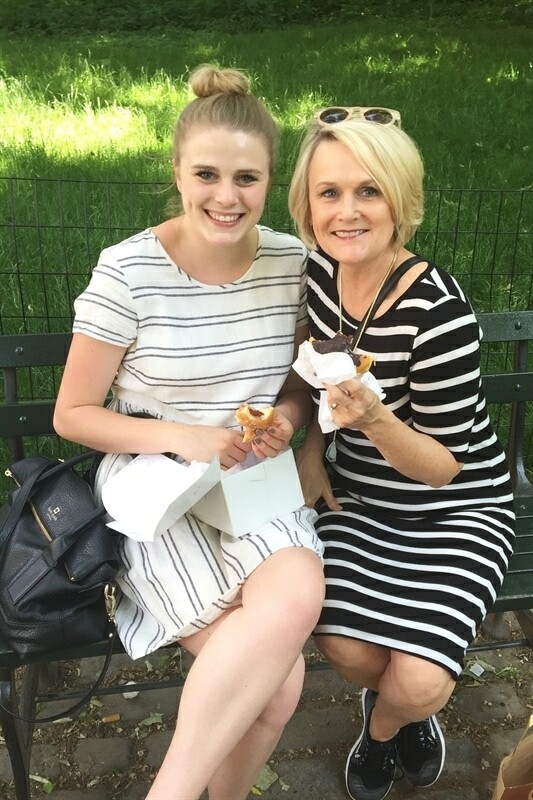 We enjoyed our donuts in Central Park. We then made a visit to the Neue Gallerie which is right off the park and where the famous Lady in Gold painting resides. After seeing the movie I was anxious to see the painting in person. 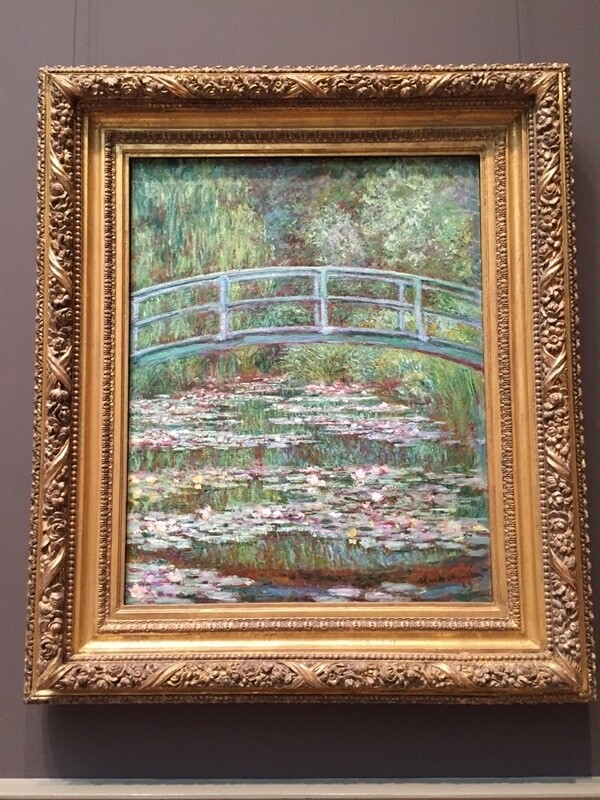 She was more beautiful in person and there are many other beautiful paintings and exhibits in the museum. 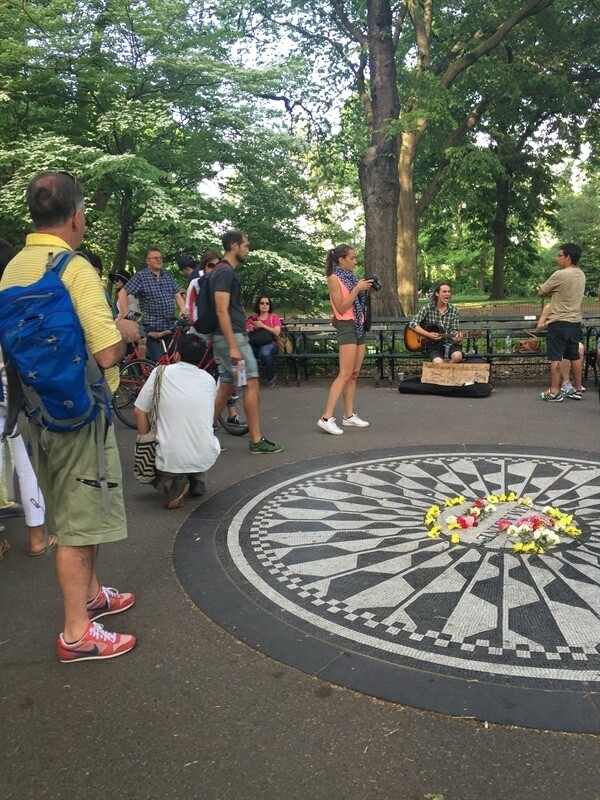 We then walked through the park and made a stop at Strawberry Fields for my Beatle loving husband. 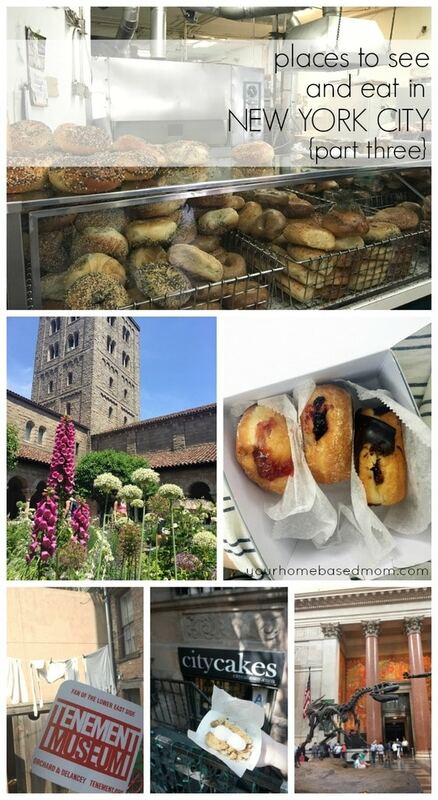 There may have been a quick stop at Levain Bakery that day too. By the end of our third day my feet hurt so we left Jim at the apartment to watch a ball game and Tessa and I headed out on an adventure over in China Town for a cheap but amazing foot massage. It was a little sketchy but we came out alive and my feet felt so much better!! The place had been recommended by one of Tessa’s friends. Our last day there Tessa had to work so Jim and I were on our own in the city. We started with breakfast at Sarabeths. 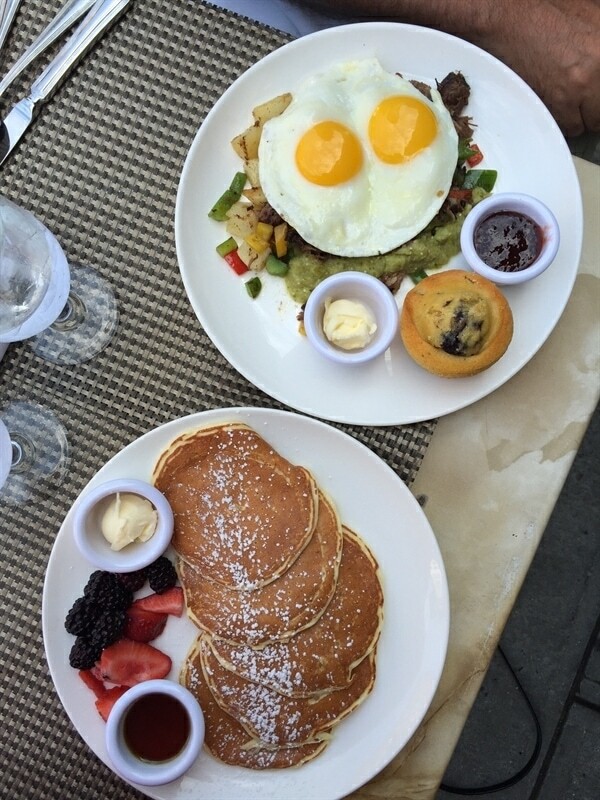 The Lemon Ricotta Pancakes are my favorite! 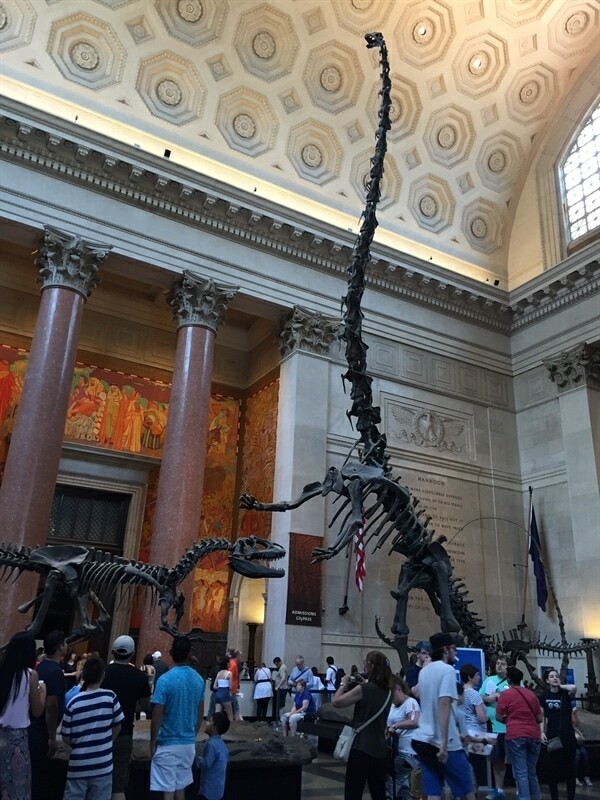 From there we headed over to the Museum of Natural History. 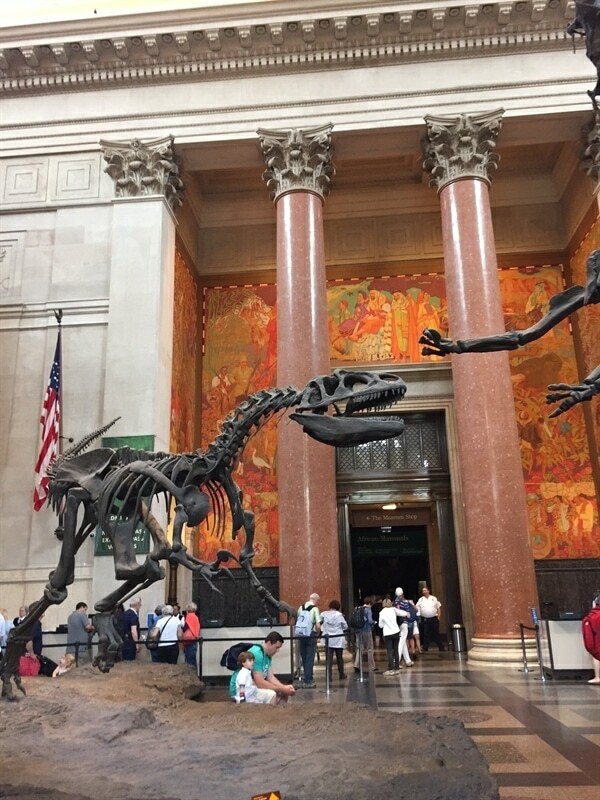 We had so much fun exploring the museum and of course the dinosaurs are the best! 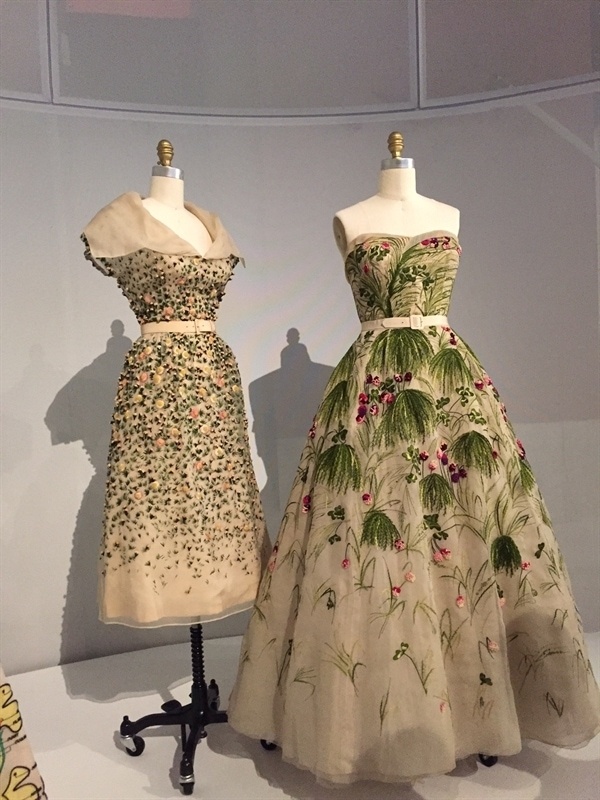 One final museum stop at the Met to check out the fashion and technology exhibit. And a quick visit to some of my old and favorite friends…. 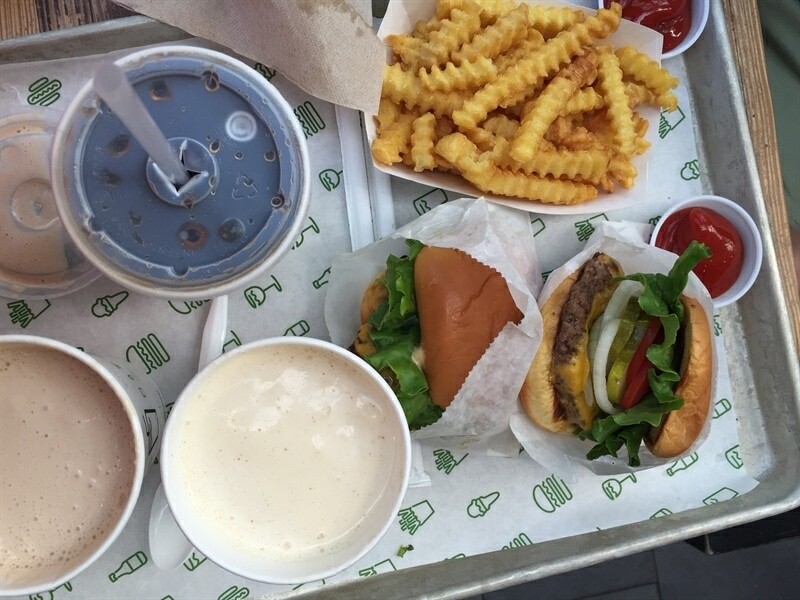 We had time for one last quick NYC meal before heading to the airport to go home so a burger and shake at The Shake Shack. What a fantastic list! I am saving this for my next visit there. 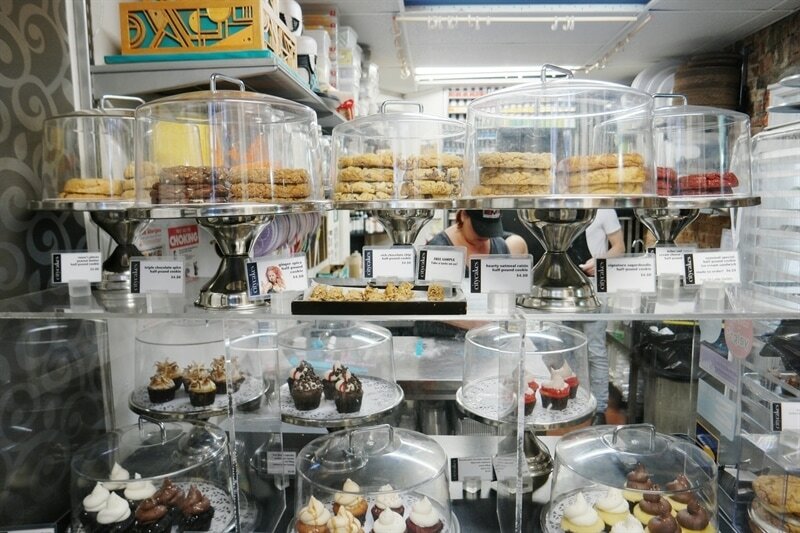 The dress you are wearing in front of Schmackary’s is darling on you. Where did you find it?